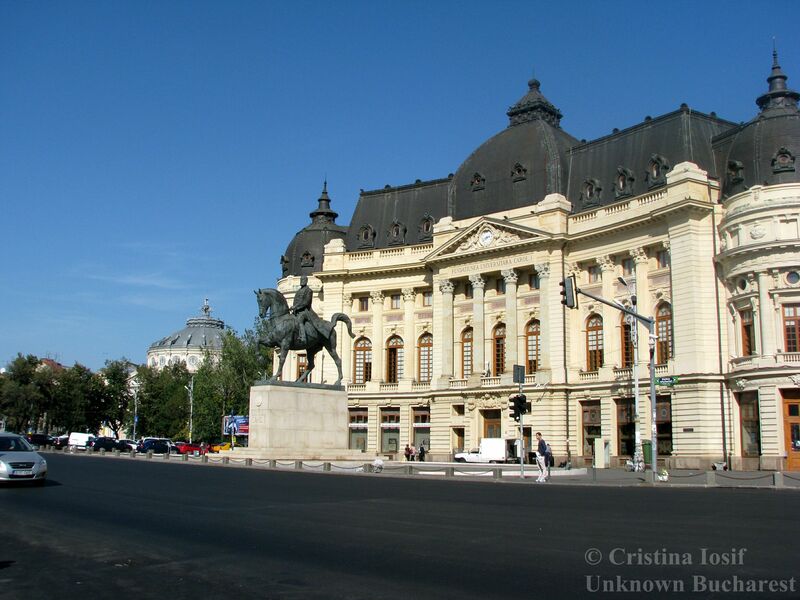 Take your time and browse through my Bucharest city tours to choose what suits you best! The history of “Podul Mogosoaiei” (“Mogosoaia Bridge”, today Calea Victoriei, “Victory Avenue”) begins in the late 17th century when Prince Constantin Brancoveanu wanted a road to link his palace situated by the Dambovita River with the land he owned in the Mogosoaia village. The name “bridge” comes from the street’s oak trunks pavement -it wasn’t until 1825 that Podul Mogosoaiei received a stone paving. No other street in Bucharest has had such a glorious destiny. From the very beginning wealthy boyars set up their mansions in this area conveniently situated in the proximity of the Princely Court. Soon enough, Mogosoaia Bridge became a string of boyar courts, large inns and famous monasteries. From the 19th century, the path to modernization was opened as the Principalities escaped the long-standing Ottoman influence. The inns were converted into hotels and the boyar houses were replaced by modern Neoclassical style houses. The Grand Theater, built in 1852 on the current site of the Novotel Hotel (whose portico-shaped entrance evokes the now missing theater) was an iconic institution, where performances and glamorous balls were held. Until being destroyed in WWII, the area around the theater was the city hub for fashionable venues, entertaining halls, restaurants and cafés. Victory Avenue became a place of promenade and elegant outfit displays. The bohemian society, actors, writers and journalists, met in the famous beer houses and terraces scattered around the area. 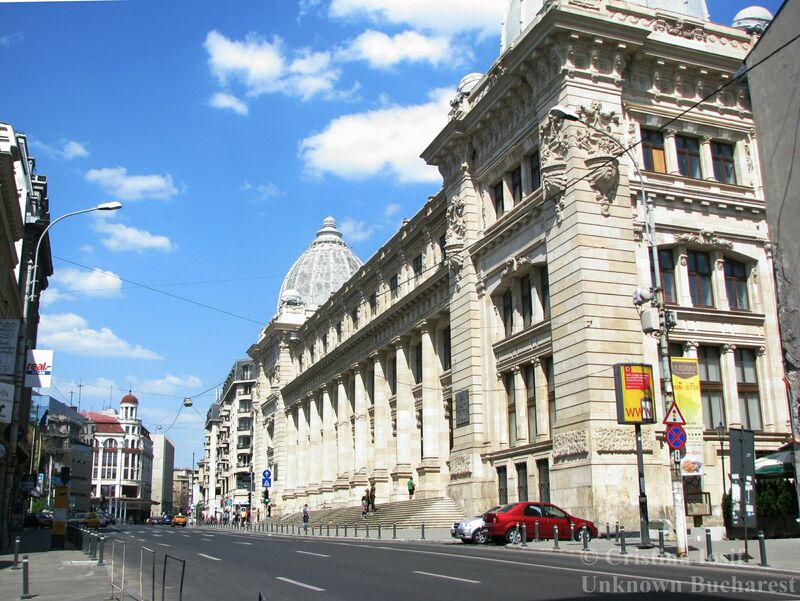 After the Independence War (1877) the street was renamed the “Victory Avenue”, and some of the most important cultural and state institutions of modern Romania established on it, all of them being designed either by French architects, or by Romanian architects trained in France. Here they are, in order of appearance: The Athenaeum (1889, Albert Galleron); The Carol I Royal University Foundation (1895, Paul Gottereau); The Postal Palace (1900, Alexandru Savulescu), today the National History Museum; The Savings Palace (1901, Paul Gottereau, currently ), a grandiose Neo-Renaissance style building; The Officers’ Circle (1912, Dimitrie Maimarolu). 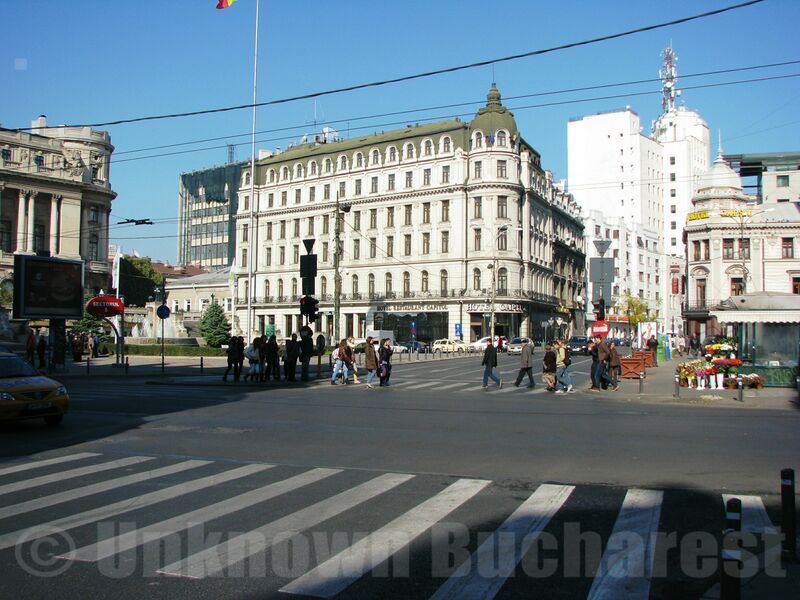 By the beginning of the 20th century, Bucharest had become known as “The Little Paris of the Balkans”. On the Northern segment, the Victory Avenue has maintained some of the old one-story boyar residences surrounded by gardens, illustrating the street appearance and the high society life-style at the middle of the 19th century. Palace Square area is the hub of classical culture, with the Athenaeum and the Royal Palace, home of the Romanian National Art Museum (MNAR), facing each other. 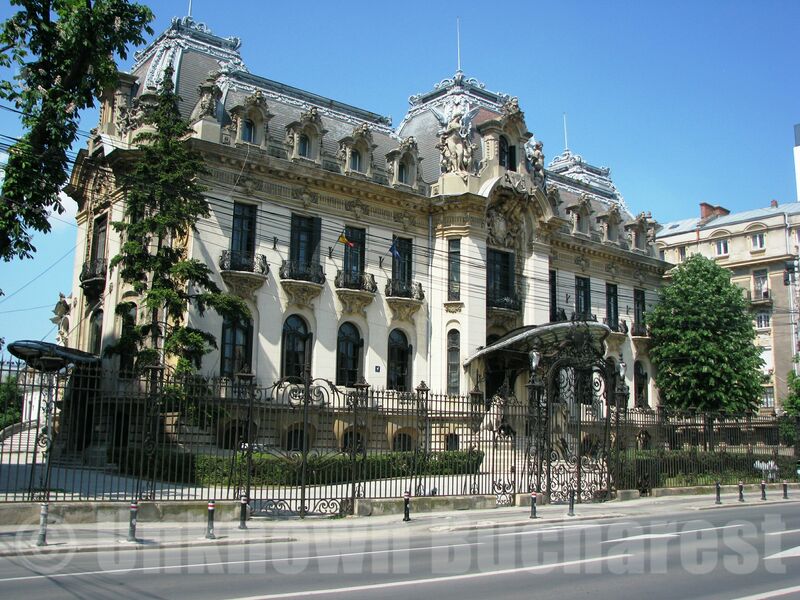 Further north, on Calea Victoriei there is the magnificent Cantacuzino Palace, presently the “George Enescu” National Museum. The legendary Victory Avenue played a major role in the modern history of the city. The communist dictator Nicolae Ceausescu held his last public speech, and fled by helicopter at the onset of the Revolution, from the building on Victory Avenue which served back then as the headquarters of the Romanian Communist Party’s Central Committee – the place is called today the Revolution Square. One important thing I found as a (regular) visitor to Bucuresti was the Victoria market. It is on the corner of Calea Victoriei and Strada Lipscani. I had brought my usual repair kit for any haberdashery accidents, but I did not bring any spare shirt buttons! On the aircraft, some clumsy idiot collided with me and without even an apology left swiftly. I had lost 3 buttons. A swift visit to the Victoria market solved my problem. The market houses many marketers selling a wide range of products. If I had lots of free time, I could easily have spent hours browsing through the market shop! It is an important place to remember! Plus it is only a 5 minute walk from the best café/restaurant in Bucuresti, the “Caru cu Bere” in Strada Stavropoleos!